1. 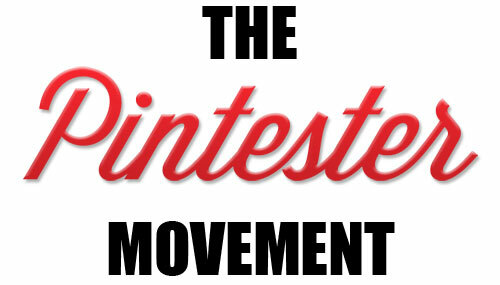 Sign up for the Pintester Movement email list! If you don’t sign up for the list, you won’t be able to participate, so this part is super important. You’ll get an email from me with the instructions and requirements listed below and instructions for emailing me the link to your blog. 2. Pick any pin from Pinterest and try it out! That’s it! Easy peasy. So go ahead and sign up for the email list and then get started on writing up your fantastic pin test! Remember, the point of this is not to be perfect. We strive for mediocrity around here, with a dash of funny if it suits you, so don’t feel pressure to perform, ok? No anxiety. I won’t have it. I seriously wish they’d do a Big Lebowski party in my town. I actually have a friend who went to our local Comic Expo and even San Diego Comic Con dressed as The Dude, white Russian and everything. Mani is Spanish for peanut. So my brain mix everything up and I thought that you were going to play bowling. With peanuts. What is the fancy sippy cup/wine glass thing you are drinking out of? Does it keep you from spilling booze? Where can I get one? Allie, the sippy cup is one that we sell through the museum with our NCMA name on it. They’re so fun–spillproof (within limits–3+ white russians and there are no guarantees). If you’re local come on by and get one, otherwise, we can mail one to you! Sonja we had SO much fun!! I be they don’t do bowling themed nail painting at any other Lebowskifest!! Thank you so much for coming out and joining us. Next time–Nihilist nails? ha. I’m digging through my pins right now! And I have a great idea for the NEXT Pintester movement: let US post some original pins, and you pick on to try!